I Started training in 2015 at Easton and Otley College Norwich, studying my level 2 Qualification. I then started my Level 3 straight after, as well as starting up my own business working from home. I set up a fully equipt spare room, this was to enable me to start my client base as well as gaining experience. Once I had finished college I carried on working from home, i even started entering a few competitions. My first competition was mastergroom and I entered with a miniature poodle. 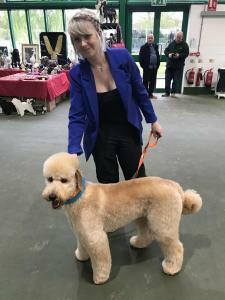 I then entered a few more after with west highland terriers, I found them great due to the feedback I got from the judges to help me improve and as a beginner this was helpful. 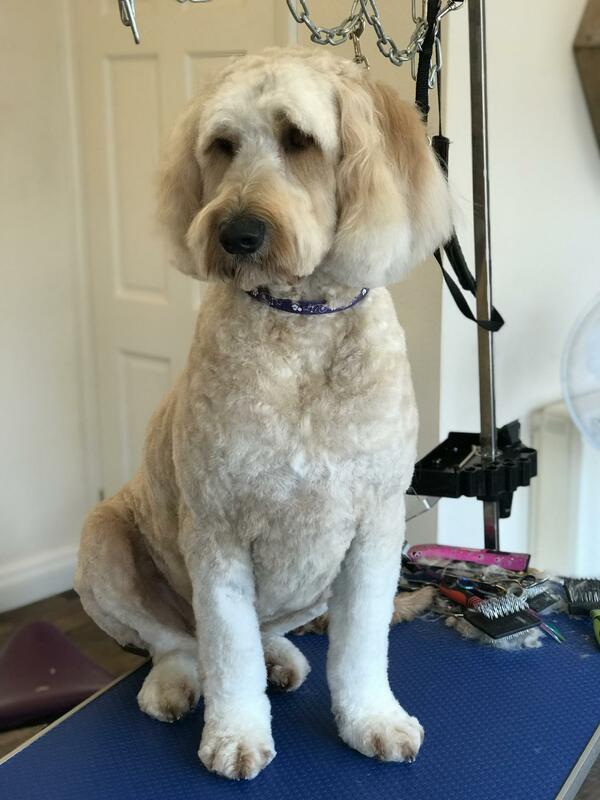 It soon became clear that my favourite breed to groom were poodles. 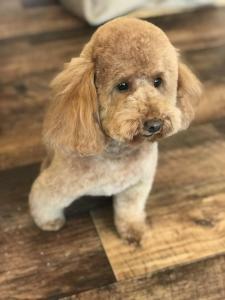 I got myself a standard poodle and when he turned 1 I started competing with him. I have completed poodle 1-1 training days with Fee Brook and Denise Westbrook. 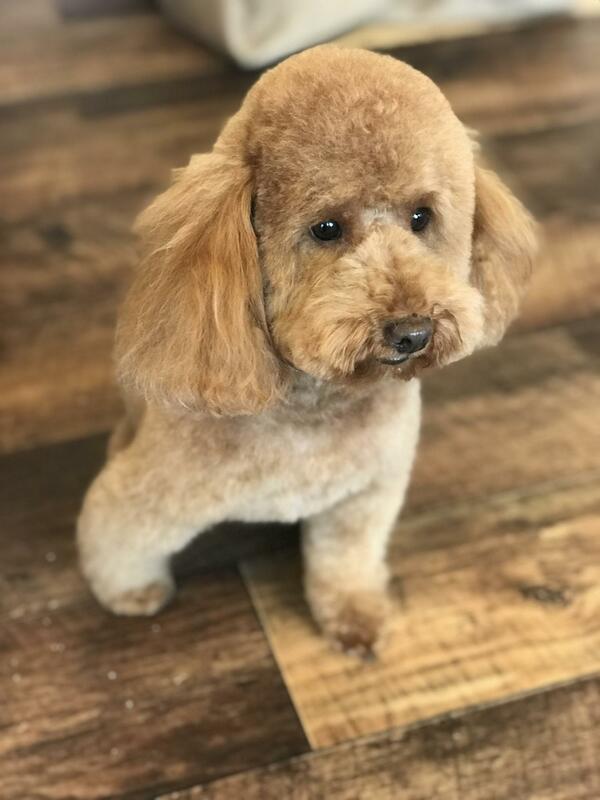 I now own 2 standard poodles and 2 poodle crosses.  I regularly attend training seminars outside of Norfolk to make sure I keep up to date with the industry. 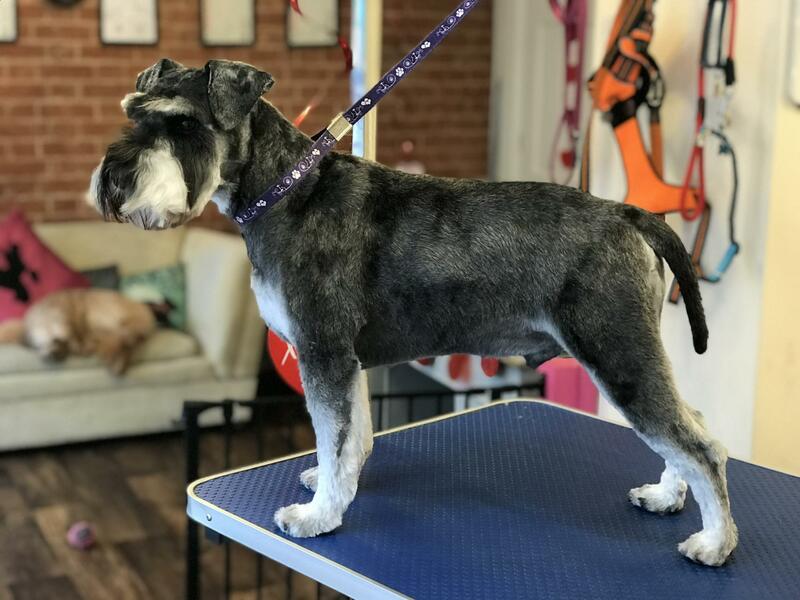 I am always trying to learn new things and Improve my grooming skills to be the best I can. In 2018 the Princes trust helped me to open up my own shop in my home town, it was something I always dreamed of doing. And at the start of 2019 I completed my level 3 diploma! 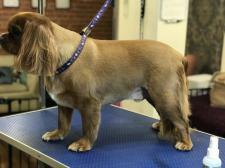 I hope to start my Certified international master groomer qualification soon. 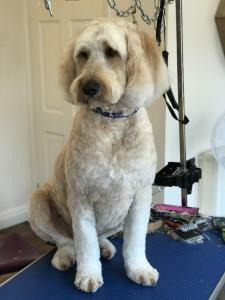 I offer all aspects of dog grooming, from pet trims, owners custom trims, to breed standard trims. I give a 1-1 grooming experience with no other distractions, and the client will have my undivided attention. This is great for those dogs that are nervy, puppy’s or dogs that just don’t like an audience. I also offer puppy packages, starting from when they have had their second vaccination. Certificate of attendance and continued professional development. Attendance at All about hand stripping professional seminar. Located at the Dog House, Fakenham. Certificate of attendance at Keeping dogs & Customers happy, with Julie Harris LCGI NCGIA. 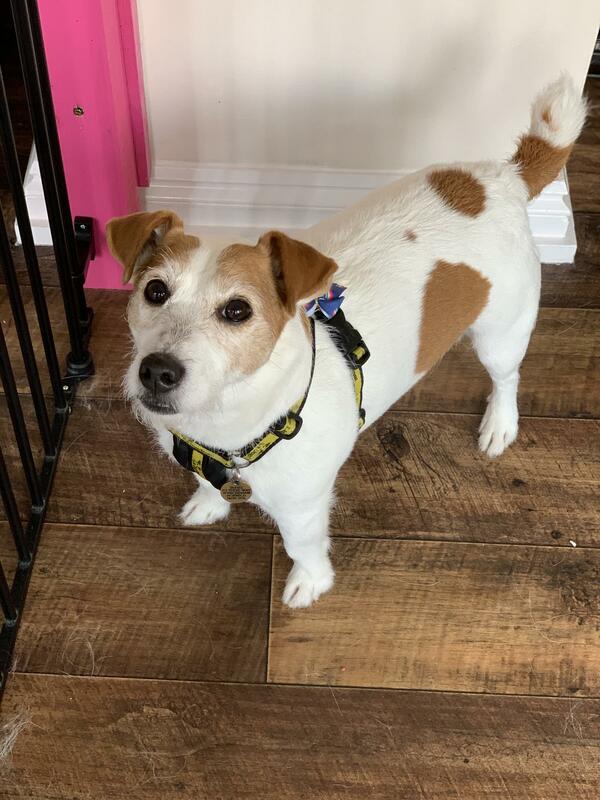 Located at Groomers Education Suite, Newbury. 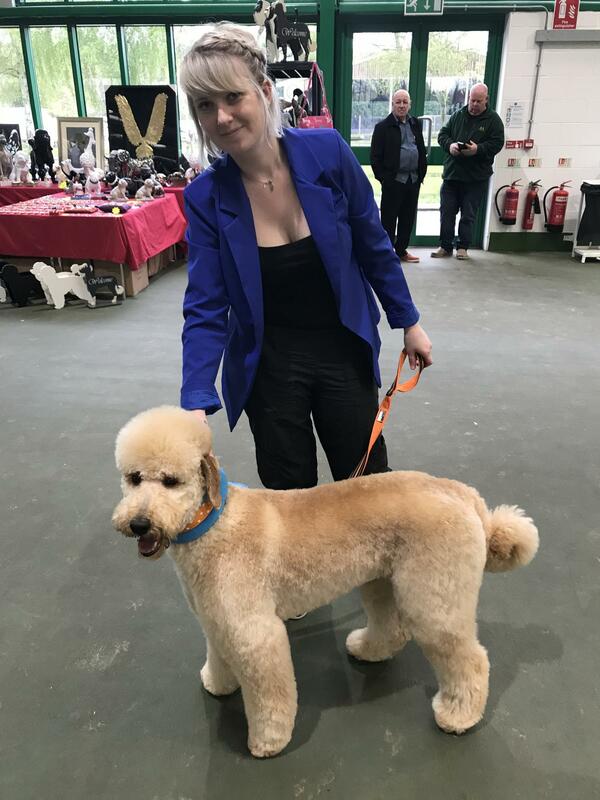 Certificate of attendance at the doodles and drop-coats demo and for continuing development in breed standards, styling and finish presented by Gemma Guile and Lakhi Thindal ICMG. 1-1 intensive poodle training day with Fee Brook. Certificate of attendance at the Prep and scissor demo, presented by Scizzor Yappy.